Marketing online does not keep secrets from us. Search Engine Optimization, Google AdWords, digital analytics and content marketing are only a few scopes we can help you in. 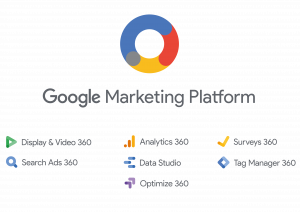 The Google Marketing Platform is a uniform advertising platform that enables the implementation of marketing activities through various channels and diversified in character, as part of the support and measurement of the client’s path. It gives access to a set of integrated advertising and analytical tools. Thanks to the Platform, you gain better control over the marketing strategies implemented, while receiving access to integrated data about your clients. Combining data with Google information on different user devices and user intentions allows you to identify your most valuable recipients. The Google Marketing Platform includes many interrelated services for planning, buying, measuring, as well as optimizing online media and customer behaviour and experience. Do you know that 23 million people in Poland use Google? Use this potential and ensure that you are always among the top search results. Positioning and optimization allow us not only to maintain the service on a high position, but also achieve specific business objectives and built the repute of the website. If the service is not shown on the first Google page, it probably does not exist. We check how the search engine robots see your website and ensure that the users can quickly enter it from Google. Visibility of a website in a search engine depends also on what happens outside of the service. The more high quality and interesting content on the brand, valuable references or activities in social media, the better. Do you expect results? Do you search for solutions which will develop your business? Contact us and tell about your needs. We will find an optimal solution for you. Every day Internet users share nearly 30 million pieces of content. How to break through with interesting topics in the information jungle and reach potential customers? We educate, inspire and engage users, providing them with what they need. Good content is like a page-turner – it will not let you forget about it. Tell stories which make your customers keep the best picture of you in their memories forever. Build the popularity of your brand by SEO PR, creating useful and optimized promotional materials. Reach your potential customers with valuable content at the time when they need it. Mobility is a way of life. As many as 91% of teenagers have a smartphone and by 2017 there will be 5 devices with Internet access per one person. What is more, 30% of Poles buy through mobile devices. Is your company ready for this? For a website to fulfill its function, it must be properly adjusted to mobile devices. Our analytics and SEO specialists will show you the best course of action. Do you have a mobile app? But do you promote it properly? Users quickly forget about the installed applications or more often delete it. Convince your customers why your product will make their life easier. A strategy is a general concept of action which should ensure an advantage on the market. It indicates what should be changed or improved in order to meet the market requirements. To do this correctly, you must imagine yourself in your customer’s shoes and consider not only the figures, but also the emotions accompanying the purchase of products or services. It answers the question how to meet the customers’ needs in the Internet era, or the mobile Internet era, to be precise. It is an ideal completion of the marketing strategy, even if it exists only in the minds of the managers. The biggest challenge is to reach the customer at the time when we have the biggest influence on their decision. It is time we joined the customer in their journey and set the direction of their action! Marketing in search engines not only makes it easier for the users to access the information they look for, but also allows the service to get the best positions both in paid and unpaid search results. Thanks to SEM (Paid Search) activities, you will use the advertising budget effectively. Win new customers and built a positive image of your brand in Google engine. Using our experience in AdWords activities, you will effectively support your sales, carry out a promotional action or promote a new product, brand or event. Do you carry out marketing campaigns in a search engine on a big scale? Would you like to manage your advertising budget more effectively and increase your return on investment? We know how to bring your advertising activities on a higher level. Thanks to optimization of the rates in real time and Search Ads 360 intelligent strategies, you will gain a competitive advantage over your rivals. Analytics in marketing is a process involving not only tools but, above all, people. We work with people to understand and use data to make good business decisions. We support the proper definition of success indicators for your online activities. Do you want to sell more, spend your advertising budgets more effectively, improve the experience of website users? We train and support your team in the use of analytical tools and data for business development. Together, we create an analytical culture in the organization. Do you know that we log on Facebook 14 times a day on average? Social networks such as Instagram, Twitter, Snapchat or LinkedIn are equally popular. We use their advertising potential to the fullest and direct our messages to real users and not cookie files. Does your campaign need effective promotion? Thanks to an advertisement in social media we know how to quickly reach those interested in your product or service. Do you want to promote a post? Encourage the users to visit a website or build a community around your brand? Or maybe increase the number of conversions in the store? These are only some of the possibilities of advertisements in social media. “In 2016 number of active social media users in Poland was 15 million people”, “On average, the Poles spend almost 2 hours on using social media daily”. You cannot be indifferent to such figures. Especially if among those social media users you have your potential customers. The social media world has no mystery for us. We know how to build up communities around a specific brand and expand them. We engage, talk, listen, draw conclusions. 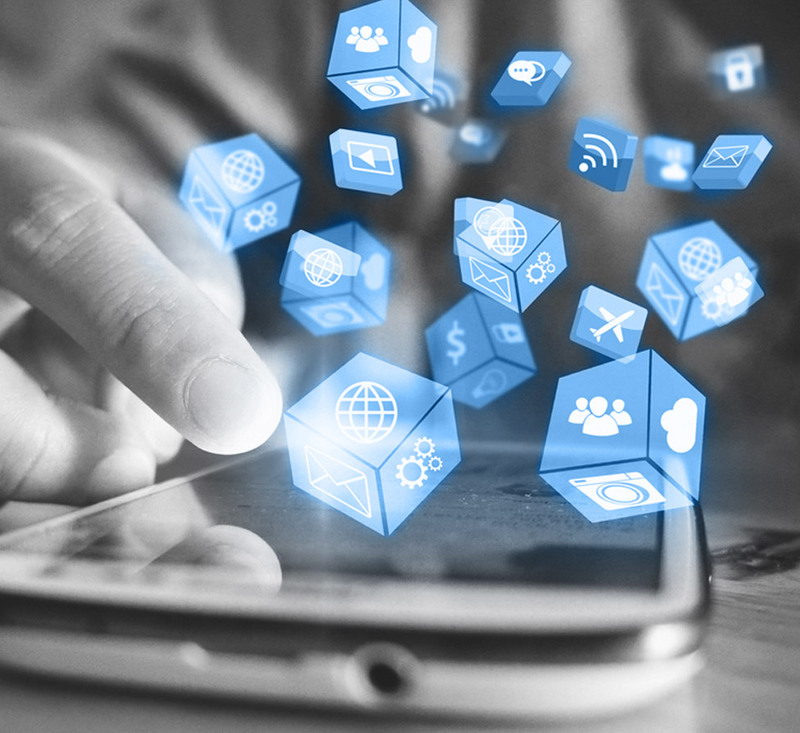 We make use of the social media potential not only to build up the brand awareness, or to increase the number of loyal customers, but also to draw the market information through a direct dialogue with customers. Your company is not yet active in social media? It’s high time you changed it! And if it is already in the web, perhaps you may want to improve the efficiency of such activities? Display campaigns are extremely popular. It is worth using the newest technologies in this case, such as Programmatic or Real Time Bidding. The respond to the need of increasing the efficiency, precision and effectiveness of the online advertising. It is about creating an intelligent advertisement for a specific user. Technology allows a dynamic optimization of advertising creations and a better personalization of the message, which makes them better prepared and, as a result, more productive. Effects? Increase in conversions by even 270% with a reduction in the cost of funding by 45% within the same media budget. Thanks to Real Time Bidding you pay for reaching a specific customer with your message. As a result, you spare the money for advertising. We thoroughly analyze the internet users’ behavior, so that your advertisement reaches them with a personalized offer. Gather data on all your advertising activities in one place. Thanks to our dashboards aggregating data from various sources – internal, external, online and offline, you can easily compare your KPIs or merge data from different sources without the need of signing to numerous platforms. We will combine data from various sources, both online and offline, in order to create the most complete picture of your business, analyze the activities carried out so far and support further decisions in the company’s development. A platform enabling the implementation of marketing activities in various channels and of diverse character in support of and as measurement of the client’s path. It provides access to a set of integrated advertising and analytical tools. “The number of active social media users in Poland in 2016 was 15 million”; “Poles spend an average of almost 2 hours a day on social media”. Your potential customers are certain to be users of social media. We help you to reach them effectively by creating online brand presence strategies. We initiate and conduct promotional campaigns for products and services on social media, selecting the appropriate communication methods and channels. We implement promotional campaigns with bloggers and influencers, increasing awareness and trust in your brand. We provide a professional service – from monitoring to fast, considered responses. We create a brand image on social media. We communicate, react, implement anti-crisis actions, moderate discussions, and finally, report the results. We build images of good employers by creating an employer branding strategy for brands on social media. We select the right channels of communication and help your brand to stand out from the crowd. By using media monitoring tools, we know who’s talking about your brand and where. On this basis, we plan an effective social media communication strategy to reach the right target audience at the right time. We carry out actions on social media to support the purchasing process. This enables the customer to find out about new brands, share information, search for products and advice on purchasing, consult, and make final purchasing decisions. We help brands build a positive image on social media. We take a creative approach to introducing your products and services, increasing the interest of your audience. We engage, respond, stimulate discussions with followers of the brand, listen and draw conclusions from their opinions of your brand’s products and services, and build relationships with your customers. We work on understanding and using data to make good business decisions. We support you in correctly defining success indicators for your online activities. We audit Google Analytics and Google Tag Manager accounts. We verify the quality, including correctness and completeness, of the data collected. We provide an information interview to understand what type of data your organization needs and whether Google Analytics is or may be the source of it. We execute full implementations of Google Analytics. From the development of data architecture to technical implementation. We provide useful data sets in a user-friendly, visual form of Google Data Studio report panels. Thanks to this you will be able to observe key data, understand correlations and notice significant changes. The client path to the conversion can be long and involve many visits to the website from a variety of sources. Measuring and analysing these paths is an essential element in assessing the effectiveness of advertising activities. Standard conversion reporting, that is, for the last interaction (last-click), contributes to the incorrect assessment of profitability of traffic sources, which, in turn, can lead to inefficient management of campaign budgets and the loss of potential profits. Conversion attribution based on an algorithmic model allows you to assign a real number of conversions to a given channel that brings traffic to the page. This, in turn, allows you to accurately assess the profitability of the campaign and supports the management of media budgets. The media optimization model, based on historical data and the latest scientific knowledge from the borderline of statistics and marketing, provides recommendations on budget distribution for campaigns. Thus, it facilitates obtaining the optimum relationship between the expected revenue and the planned expense. is a tool developed by Bluerank that analyzes user paths and the costs of individual campaigns. Reports available in the application provide an image of the actual effectiveness of traffic sources and a recommended allocation of budgets. Thanks to BlueAttribution, increasing the profitability of advertising activities becomes easier. Google Marketing Platform is a set of integrated analytical and marketing tools. If you are developing your business mainly on the basis of data, then this platform will provide the necessary tools. We know how valuable it is to quickly acquire, process and use data, which is why we are offering you tools and support for the enterprise class. By purchasing a license, you get professional technical and business support. Do you have an online strategy, or are you about to create one? We support brands in the projects and decisions that impact on how their business functions. Do you need advice on online marketing? We’re at your disposal. We support you in making business and marketing decisions based on data, consumer insights, expert articles and case studies from all over the world. We provide information and analysis consistent with the latest trends that are relevant to your business strategy at any given time. In the era of communication chaos, it is becoming increasingly difficult to establish a dialogue with your customers. Do you have a new product or service and don’t know how to sell it successfully online? We’ll teach you to design experiences using the design thinking method. We seek competitive advantage and determine the areas in which your business is unrivalled. On this basis, we create a coherent and effective plan for brand presence and communication online. Working alongside you, we set goals, create a strategy, and recommend that you conduct an evaluation of your activities after one year. Do you need to change your brand communication or refresh your image? During training we work intensively on topics related to your business. We analyse the importance of strategy for your brand, look for strengths and weaknesses, and determine the positioning of your brand with respect to the competition online. Based on the experience and information gathered during the workshops, we create a document that includes strategic objectives and assumptions, analysis, a strategy for positioning your brand with respect to the online competition and an implementation plan with a timetable for points of action. The online channel is becoming increasingly significant for e-commerce. Battles are waged over customer satisfaction, so it is important to analyse the customer’s purchase path. The Customer Journey map helps with this, giving a bird’s eye view of the customer service process. This can be a catalyst for change within the company, creating an opportunity to streamline the process and improve the customer experience. Firstly, we look at why you need to make changes in customer service. We observe how customers behave on your site and examine their level of satisfaction through quantitative and qualitative research. Next, we create ‘persons’ for key customer types and examine their points of contact with the brand. The Customer Journey map is the starting point for building a customer service improvement strategy. We help brands to understand the workings of the market they operate on, the motivations and needs that drive their consumers, how customers learn about the brand and how they make purchases. Finally, we recommend ways to improve the customer experience and ultimately increase your sales. Let your Clients know that your brand works especially for them. Offer messages and products personalised to their needs anywhere and at any time. 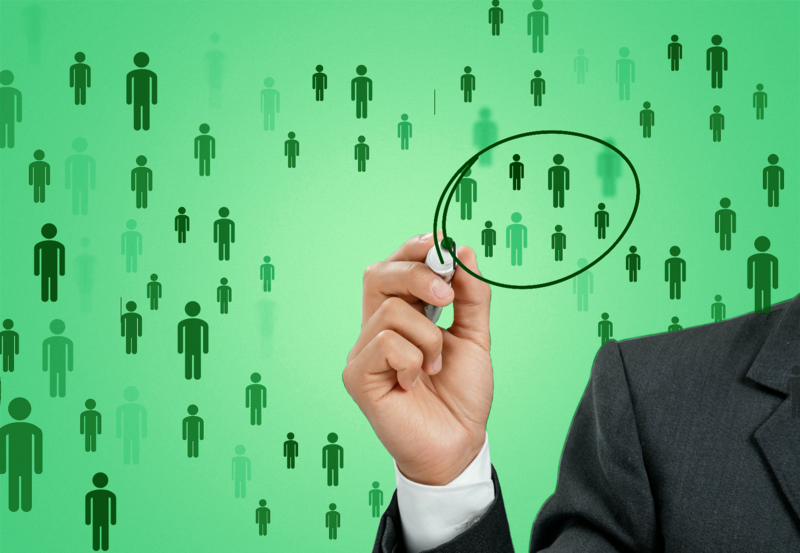 Even the most precise segmentation is not equal to personalisation. Reach, communicate, and collect data 1 to 1. Reach each of your Clients with personalised messages tailored to their individual needs. In any location, anywhere in the entire network. Build your Client (CRM) and user (www) database. Merge data from multiple sources and analyse purchasing intentions and paths. Effectively evaluate the ROPO effect. Ensure communication continuity and the sense of uniqueness with a given recipient. Continue personalised offsite communication on the landing page of your campaigns. Explore the broad scope in relations with your Client. Merge the online data gathered from your website and conducted marketing activity with the offline data from e.g. physical sales points. Learn which contact points with your company and brand have impact on the progress of the “Customer Journey”. Learn as much as you can about your Clients. Take advantage of our scoring system in effective selection of users for specific marketing activity. We adjust communication with a given person depending on the current campaign results. We analyse and report the paths of your Clients. From inspiration to purchase. We build uniform communication regardless of the communication channel. We enrich information on a given Client in the POS. YouTube is the second biggest search engine in Poland, so it’s definitely worth being seen there! We use all available advertising formats and direct your messages towards the appropriate recipients. As a consequence, your brand effectively attracts the attention of customers online, and you only pay for the results. We care about users, showing them ads that match their preferences, which they can skip after 5 seconds. At the same time, we increase the visibility of brands and products among the viewers. We’ll help your brand appear where users discover content, such as in YouTube search results, alongside similar videos, on the YouTube homepage, and on partner sites and apps. Over the next few years, Facebook will be emphasising the promotion of video content. If you want to maintain lively communication and reach your users effectively, get on board with the social media video trend. More than 100 million hours of video are viewed on Facebook every day. You can take advantage of this trend to present your business. We have experience in telling engaging stories using video material on Facebook. We’re keen to share our experience with you. Instagram is used by 600 million people worldwide. With Instagram Stories videos, you can reach them all. We know how to support brands in driving users to take action with the help of engaging video ads. We’ll show you how. Online video is the fastest growing branch of programmatic advertising. With full control over ad plays, we achieve lower costs than with the traditional media purchase model. If you want to reach your customers with information about new products and services at the right moment, start advertising online with the biggest publishers in Poland and around the world. Thanks to programmatic technology, your material will be shown on the most popular informational and entertainment websites. Our specialists will help you choose when your ad should be shown to achieve the best results, and so that it’s always visible where your target audience can see it. Programmatic allows you to automatically purchase advertising space with the largest publishers in Poland. Thanks to RTB (Real Time Bidding), you decide when and where your ads are shown, and you have control over the optimization of costs. We use the best programmatic tools. Our knowledge and experience combined with the use of modern online marketing tools can take your advertising campaigns to the next level. With direct support from Google, this platform optimizes your AdWords campaigns, allows media purchases through the RTB model, and helps with programmatic ad and analytics broadcasts. Developed over more than 20 years, it’s well suited to the coordination of performance and branding campaigns. This comprehensive programmatic platform developed in Europe is extremely flexible and efficient. It allows you to carry out extensive marketing activities and, thanks to its continuous development, it enables the realisation of even the most difficult marketing scenarios, including offline marketing. With algorithms and advanced ad targeting options, we can reach your customers with the right message at the right time. This means that none of the budget is wasted on ineffective displays. We create messages tailored to the user. With our help, your customers no longer see unnecessary ads. You also gain greater control over which products you want to show in your ads. The times and the market are changing. We don’t show ads to everyone – we focus on the specific customers that you care about. This way, you spend less on sales operations, but they’re more effective. With programmatic, every business, whether large or small, can purchase advertising space without having to invest huge resources. It all depends on your business needs. Let’s have a discussion and find the best solution! By using the right tools, we reach a wider audience than with the standard purchase of plays on a selected portal. It all depends on your business goals. We want to hear about them. We create ad banners for online advertising campaigns and prepare adverts in keeping with the visual identity of your brand. We work on understanding and using data to make good business decisions. We support you in defining the indicators of success for your online activities. Planując strategię content marketingową należy również pamiętać o SEO. Tylko treści dobrze zoptymalizowane mają szansę trafić do użytkowników, kiedy ich potrzebują. Podpowiadamy, co zrobić, żeby materiały na temat Twojej marki spełniały oczekiwania użytkowników i wyszukiwarek. Odpowiednio zoptymalizowane treści content marketingowe są lepiej odbierane przez użytkowników i wyszukiwarki. Podpowiemy, jakich słów kluczowych używać i gdzie ich szukać, by Twoje materiały były łatwo wyszukiwane w Google oraz gdzie je umieszczać, by trafiły do użytkowników zainteresowanych tematem. Jeśli serwis nie wyświetla się na pierwszej stronie Google, prawdopodobnie nie istnieje. Sprawdzamy, jak Twoją stronę WWW widzą roboty wyszukiwarek i dbamy, by użytkownicy szybko trafili do niej z Google. W kwestiach technicznych czujemy się jak ryby w wodzie. Niestraszne nam eliminowanie duplikacji treści czy błędów 404, by Twój serwis mógł wzbić się wysoko w wynikach wyszukiwania. Z naszą pomocą będzie znacznie lepiej widoczny w Google i wygeneruje więcej ruchu. Właściwie zoptymalizowana treść w serwisie jest kluczem do jego sukcesu w wynikach wyszukiwania. Sprawdzamy, jak informacje zamieszczone na stronie WWW widzi Google i czy spełnia ona oczekiwania użytkowników. Doradzimy, jakie materiały umieszczać na stronie, a także jak znaleźć frazy kluczowe, które ją zoptymalizują. Zdajesz sobie sprawę, czym są działania SEO, ale nie do końca wiesz, jak się za nie zabrać? Zapytaj nas o analizę konkurencji Twojej marki pod kątem działań SEO oraz o szkolenia – nauczymy Cię realizować działania, które zwiększą widoczność Twojej marki w Google. W ramach tego typu działań zajmiemy się analizą i monitoringiem szkodliwego linkowania oraz działaniami typu SEO Outreach – zadbamy, żeby Twoja marka była widoczna w odpowiednich miejscach w Internecie. W ramach tych działań zajmujemy się analizą widoczności marki w wynikach wyszukiwania Google, consultingiem i monitoringiem. Dbamy o Twój wizerunek w wyszukiwarkach i błyskawicznie reagujemy na zmiany.